You want your forms & surveys to look good, not like they were designed by a 5 year old. At the same time, you don't have the time and funds to hire a professional webdesigner. 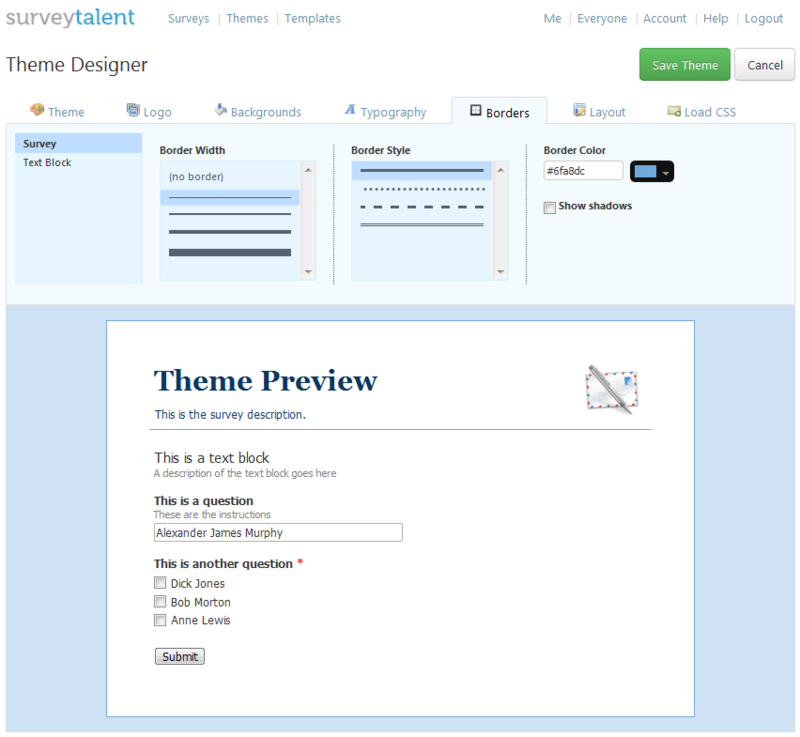 SurveyTalent helps you to create a professional look for your forms & surveys. Brand your forms & surveys with your logo, company name, colors and images. Use the theme builder, or even your own CSS, to customize the look and feel of your forms & surveys.